"I survived. But all the things worth living for are gone." ORIENTATION: Heterosexual, bisexual or pansexual. Hard to say for sure as she hasn't had many chances to explore. PERSONALITY: Rel makes no apologies for who and what she is. She's a fishwife, like any other, born and bred to fill a necessary place on Pern. She'd describe herself as practical and down-to-earth, her dreams left behind in girlhood as they should be. She does what needs to be done without worrying over the niceties of it. Rel is fully capable of looking after herself. She's rarely offered coddling, doesn't want it and doesn't need it. She might not be able to read or write, but she can sail a boat, gut a fish and sew a dress. Which is all she needs. She's not the best at working with others, preferring to take care of everything herself. She can be a bit brusque and unsympathetic but she means well, generally. For all Rel calls herself practical (and is), she still has some poetry left in her soul. She loves the sea, with its moods and its beauty, and misses deeply the son who carried a piece of her heart with him into her final sleep. She's knows it's foolish to mourn so deeply, sailors and children die every day, but the mourning is all she will ever have of them. For the rest of her life. Avorella was born into a small cothold by the sea, the fourth child and second daughter of a sailor couple, given a ridiculously grandiose name for one such as her. For as long as she can remember, she's been simply Rel. She grew up as most seaholder women do, learning to cook and clean and make the clothes and keep the house. But occasionally, her father would take her to sea in their small boat. He taught her how to catch the wind and lower the nets. How to read a storm in the coming clouds. How to navigate by sun and moons and stars. Rel loved it from the first day she stepped on the deck. But she grew up, as all girls do, and at 19 was married off, to a sailor already 40 turns old. He was gruff and impatient. She didn't love him and he didn't love her. But they made do and were happy enough. She no longer went to the sea, being too busy with the duties of a wife. In time, she bore him a son. Trevel. And then one day, Trev didn't return, lost to a storm. Rel was devastated but determined to survive, for the sake of the then 2 turns old Trevel. She renovated an old boat. Hung it with nets. And got fishing. She wouldn't be a burden on her family, on anyone. It was hard, doing the work of mother and father both, and there were lean times aplenty, but they survived. Until the fever struck. It was a summer fever, usually a harmless enough thing, but when Trevel took ill, he didn't recover. Rel's hold was too distant to be frequented by Healers so she had nothing but old seawife remedies she tried, one after the other, until he died. Her little boy. Not quite seven turns old. She gave him to the sea. She couldn't stay any longer. She had no one and nothing left to live for and every street was haunted by memories. So she sold her boat and left, for Ista Hold, where she took a post as a drudge. It wasn't glamorous work but she'd survive. It was what she did. Late Winter 2765- V'rell transfers to High Reaches for Terminath's maiden clutch where she Impresses Peridoth. Spring 2767- V'rell returns with Peridoth to Semaca after they graduate weyrlinghood. I fail to see the problem, clod. Just do your job and no one has to get hurt. 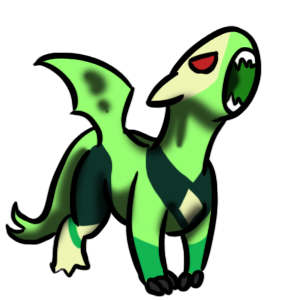 FULL APPEARANCE: Peridoth is a green who rivals only Ryodath in her short stature. Her legs are short, and there are several humans taller than her. Her wings are too small as well, and she will never be able to fly or glide. That said, she makes up for that in many other ways. 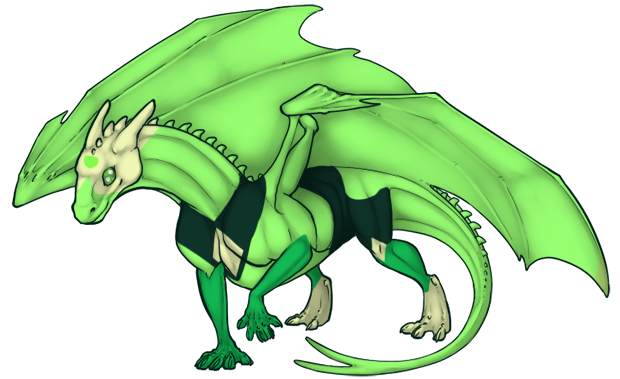 Her face is diamond-shaped, and she is very nimble on the ground in ways that dragons have no real right to be. She is a springy green all over, with darker bands over her chest and hips like a banner and belt. 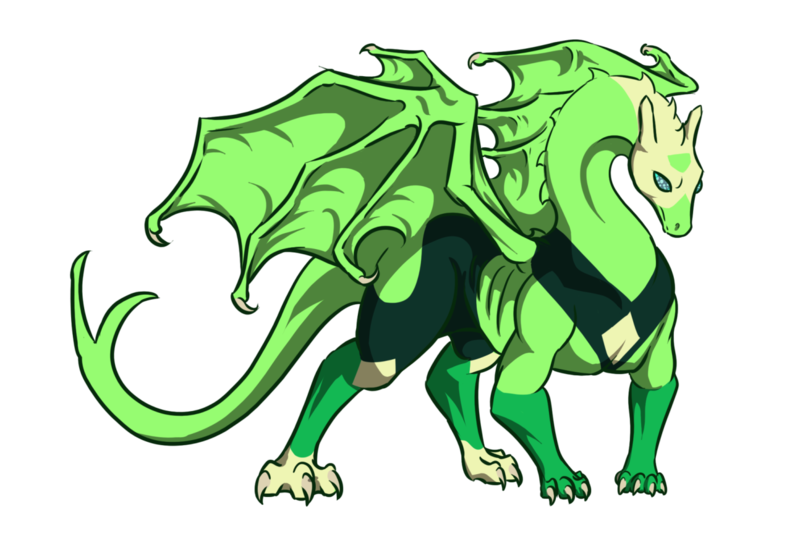 Her legs are a softer, dye green with her hind feet a paler green. The same pale color is a diamond on her chest and a mask over her face, with a bright green in the middle of her head like a gem. 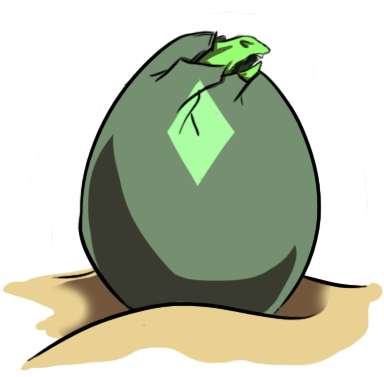 PERSONALITY: Peridoth presents herself as a stern, competent green. Not a military commander, but someone dutiful and proud. She has an eye for functionality and form, and has problems thinking outside the box. Everything is very technical and literal to her. Puns are hard to comprehend. She has a deep devotion to the Weyr, and in the beginning her devotion to golds is and will be absolute, though maybe that faith will be shaken depending on how she is treated. That said, she is also a massive dork. She is very self-conscious about her shape and her inability to fly. Secretly she thinks she is defective and a failure. To her rider, Peridoth is a partner bordering on annoying roommate. Objects will be stolen and rearranged to her liking, things will be taken apart if she is capable of doing so. She can't put things back together, but she will try. She wants to know how the world works, even if she feels like an outsider looking in on it. She is very single-minded, and cannot focus on more than one task at a time. Everything must be done in a specific order. She can't really figure out what to say at the right time and sensitivity is an issue. She has a lot to learn but she has a very good heart.